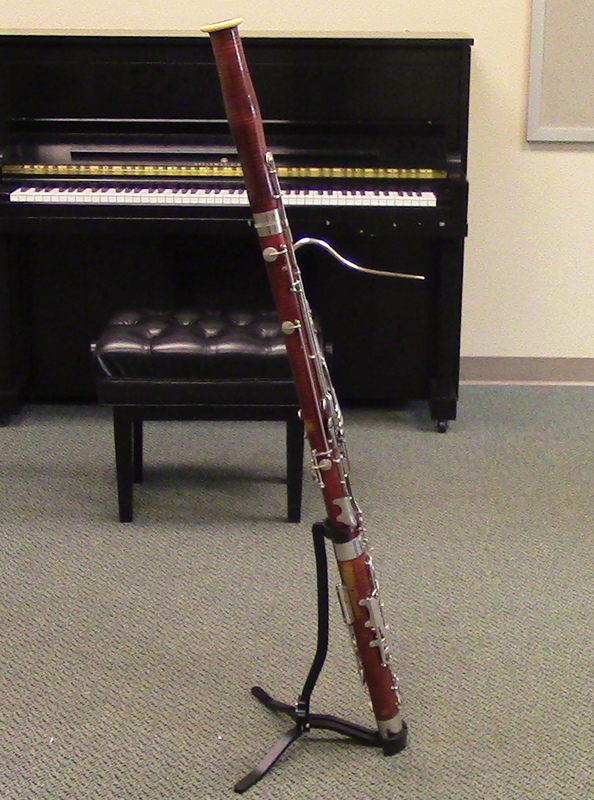 For Ages, bassoonists have been propping their Instrument in a Corner. 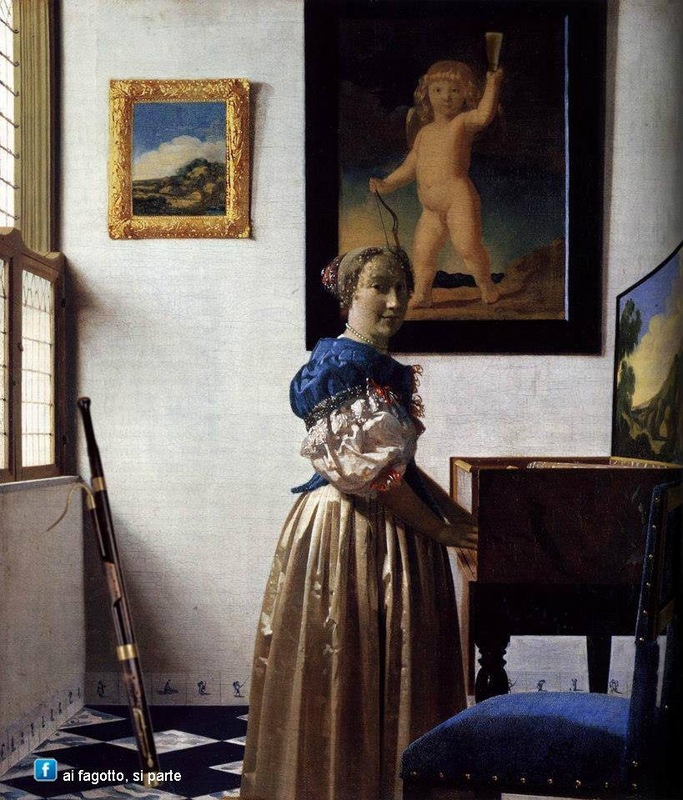 Super Cute Meme of a historical instrument added to a corner of a painting. I love fai faoggotto, si parte’s memes! The attention to detail to use a historical instrument- FABULOUS! Why put your bassoon in a corner when you can buy a much safer Bassoon Stand? I’ve found that A Bassoon Stand gives Added Security (to keep the bassoon from slipping and falling) while simultaneously keeping Rot Away and Pads Sealing! My Bassoon being held up by a Reeds ‘N Stuff Stand. Throughout the years, I’ve owned A LOT of Bassoon Stands. The Fox, The Hercules, The K&M, and (after much thought) I am Soon to be the Owner of the Reeds ‘N Stuff Stand. Why would I spend the extra money to buy a New Stand when I am already the owner of so many other Bassoon Stands? The LefreQue Sound Panels that I have been using are Bumping into the Stand. My bassoon with the LefreQue Brass Bell Sound Panels bumping into the arm of the Hercules Stand. 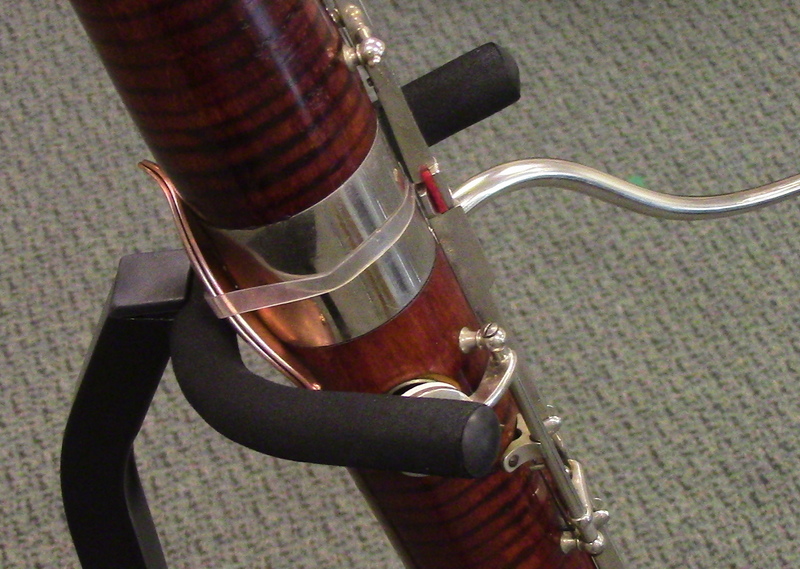 So come along as my friend ERNESTO BALAREZO and I take you through the Pros and Cons AND some of the SAFETY CONCERNS of a few of the top bassoon stands on the market.